Harness the power of malartu.co and machine vision to transform any data table within a PDF, PNG, or JPG into a workable CSV table. 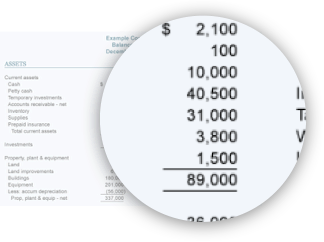 Quickly extract metrics from financial statements like income statements, balance sheets, and statements of cash flow and export to CSV files. Quickly extract metrics and data tables found in quarterly reports. Scan up to 30 pages at once, the Converter will organize by metric and date. Extract data from data tables found in pitch decks. The Malartu Converter will sort data by metric and date automatically. Extract data from data tables that may come in different formats such as budgets or pro-forma financials. Will the documents I upload to Malartu be stored on Malartu servers? When you upload a document to the Malartu document converter, Malartu must store that file for a short period of time in order to perform the analysis and return the results to you. Malartu also temporarily logs some metadata about your requests (such as the time the request was received and the size of the request) to improve our service and combat abuse. How does Malartu protect and ensure the security of the data I send to the document reader? Every database we use is encrypted to the lowest level. Our infrastructure is built on Amazon Web Services in SOC II compliant environments. Does Malartu use my data for improving the Malartu Converter? In special cases, we will request to collaborate with your team to improve our reader to more efficiently transform documents unique to your operation. In these cases, our team will reach out to you about collaborating under the protection of a non-disclosure agreement if necessary. Does Google use my data for improving Google Cloud Vision? Currently, Google does not use the content we send to train and improve Google Vision features such as its machine perception model.